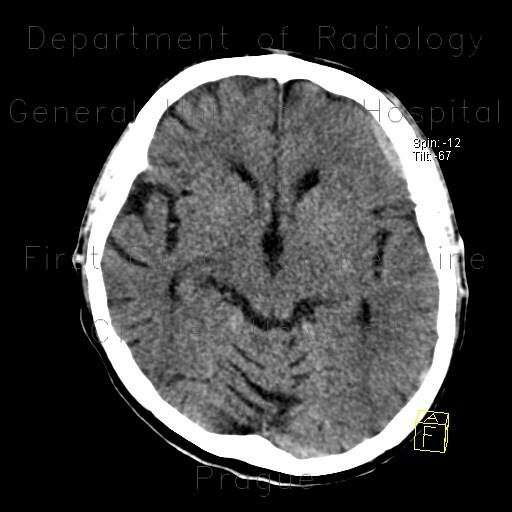 CT of the brain was requested in a patient who sustained head injury. It shows a hypodense rim in the left parieto-occipital region that has areas of increased density representing rebleeding into the subdural hematoma Moreover there is a fresh epidural hematoma in the left frontal region. Large fresh subcutaneous hematoma.